Agency of sportsmen's representation and organization of events. It is a new way of understanding the personal and professional development of the sportsmen. We are an innovative and young company, specialists in the organization of sports events. These are some of the clients who have already trusted in the professionalism of our team. Our team is formed by qualified professionals offering the best service to our clients. Welcome to Arrufat Sports, Agency of sportsmen’s representation and events organization. My name is Paco Arrufat, I was born in 1984, I graduated in Business Administration at the University Jaume I of Castellón through which I studied a year of my studies at the Univesità degli Stidi di Brescia. Moreover I graduated in 2010 like Agent football players in the Royal Spanish Football Federation under the guidelines of FIFA and since then I am a member of the Spanish Association of Football Agents. Later I complete my studies with the Grade of Tourism for the UNED and with the title MBA Sport Management for the IE Sport, specializing also in the management of sports events. 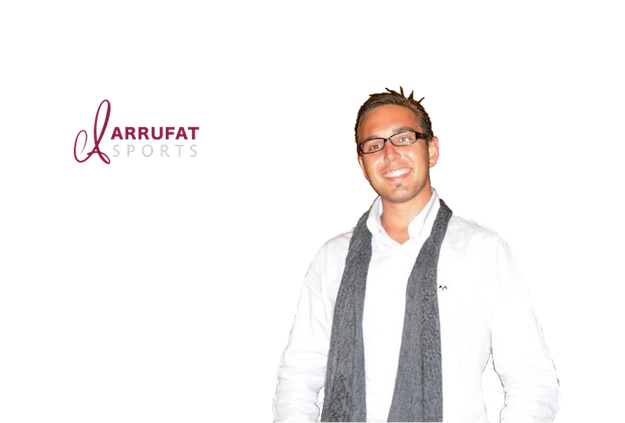 Arrufat Sports is formed by a team of professionals and collaborators dedicated with special enthusiasm to the Direction of Careers of our sportsmen trying both for its sports projection and for its personal evolution. In addition we offer a line of specific services for clubs and federations, from scouting up to consultancy in the matters that us compete. And between our services we are provided with a specific area dedicated to the organization of sports events in which under our direction and along with our partners, we materialize of effective form any proposal that our clients idealize. It is a new way of understanding the professional and personal development of the sportsman; on the base of the professional seriousness, the transparence, the innovation and the confidence; guaranteeing a personalized dealing. Fullfilling all the indications and the regulations oh the FIFA, UEFA and RFEF. "The present occupies us and we go forward to the future of the sportsman"